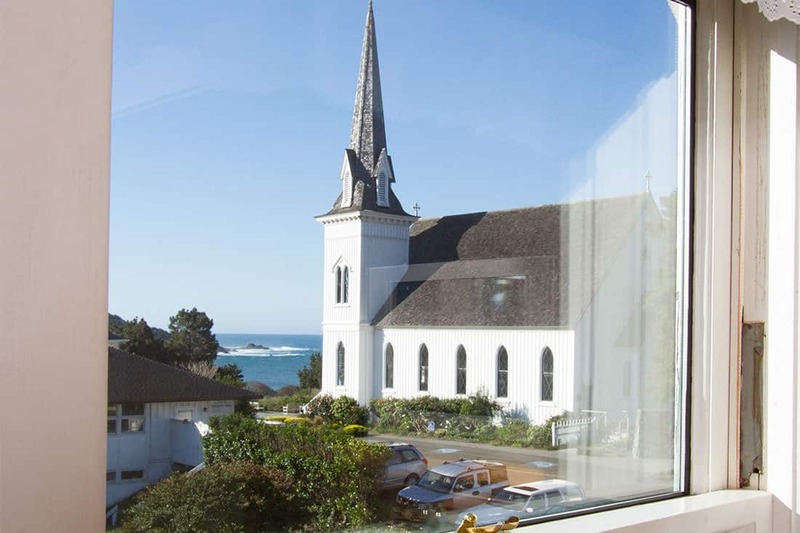 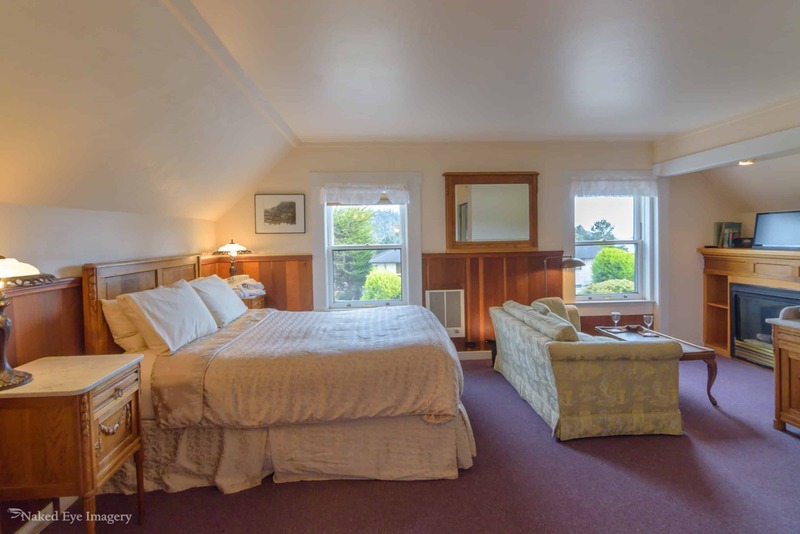 A gracious upstairs Victorian room with whitewater ocean and Big River views. 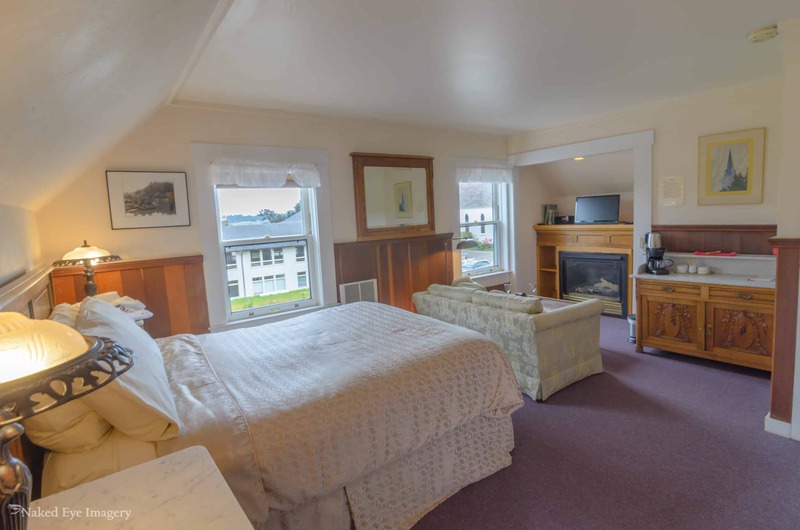 This cozy room has a queen size bed, beautiful Belgian antiques, a private bath with tub and shower, and a heart-warming gas fireplace to snuggle up to. 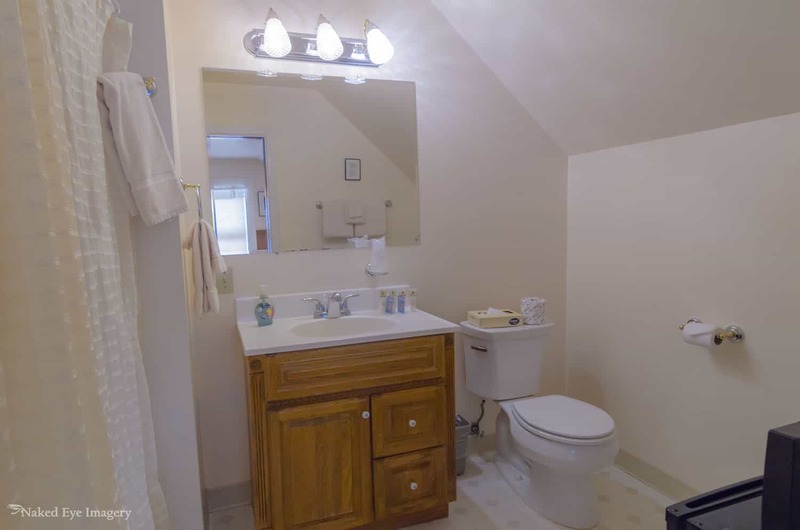 Other amenities include: flat screen TV with cable network, telephone, wireless internet, coffee maker, electric tea kettle, coffee and tea, spa robes and towels, access to the communal hot tub and sauna at the Sweetwater Eco Spa.